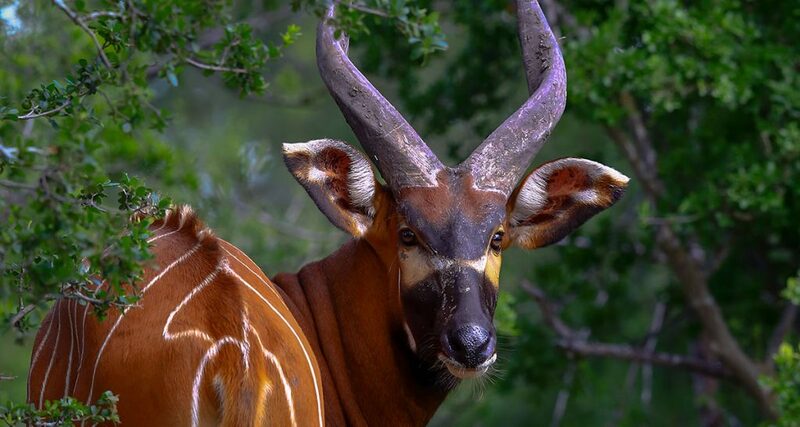 The Bongo is a large and heavy-bodied antelope with a short and glossy, orange or chestnut coloured coat that is darker on the underside and patterned with between 10 and 15 vertical white stripes that help the Bongo to remain camouflaged in the dense jungle. They also have distinctive white markings on their cheeks, a white chevron between the eyes and nose and a white crescent-like shape on their chest. find out more!